Out of the box or after a factory reset of this printer has been performed, the default settings for the EPSON TM-U220 need to be configured before use. Plug the printer directly into the ethernet port on your computer. 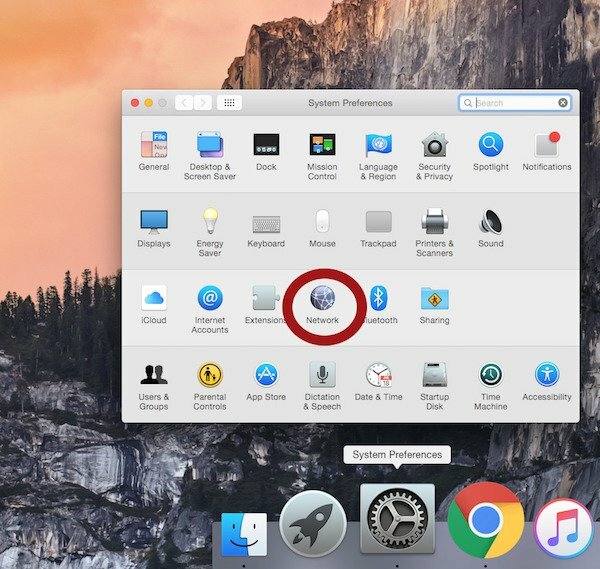 Configure Mac to see the printer. Use Chrome or another browser to go to the printer’s configuration page. 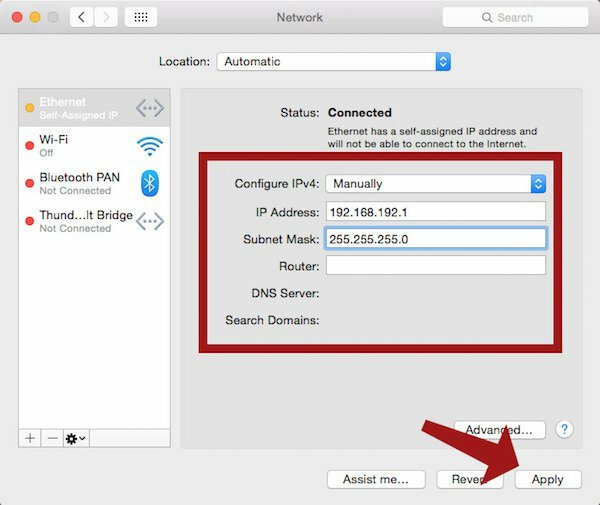 Change the printer’s network settings to automatic. Plug power and ethernet cable into Epson printer and turn it on. Plug ethernet cable from the back of the printer directly into the computer. Do not plug it into the router. This window shows all your network connections. 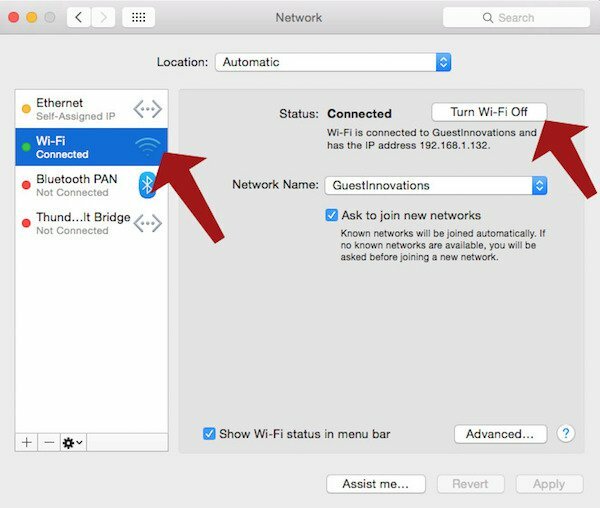 Select your Wi-Fi connection on the left and click Turn Wi-Fi Off. Now, select your Ethernet connection on the left. ● DO NOT close the Network window, you’ll need to come back and undo these changes when the printer is configured! ● In the address bar, type 192.168.168.192 and then press enter. You will receive a privacy warning. Do not be alarmed. You are just connecting to the Epson printer. ● Click ADVANCED to show details and allow you to bypass the warning. 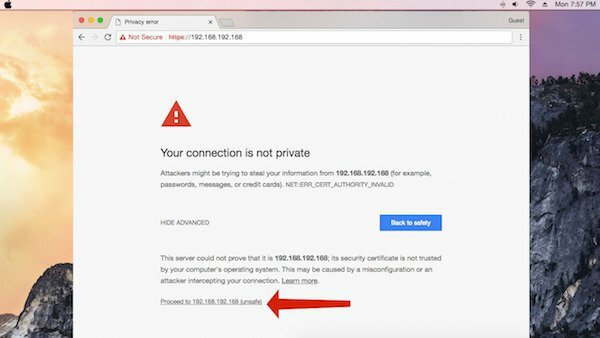 ● Click Proceed to 192.168.192.168 (unsafe), despite the warning. You will be asked to enter a username and password to log in. Enter epson for both the User name and the Password, all lowercase! 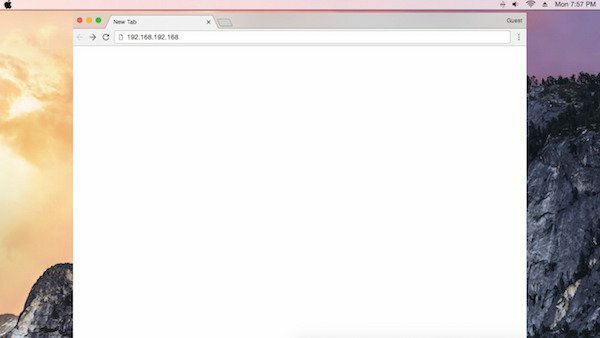 When the configuration page loads, look along the left side for a blue bar that says CONFIGURATION. 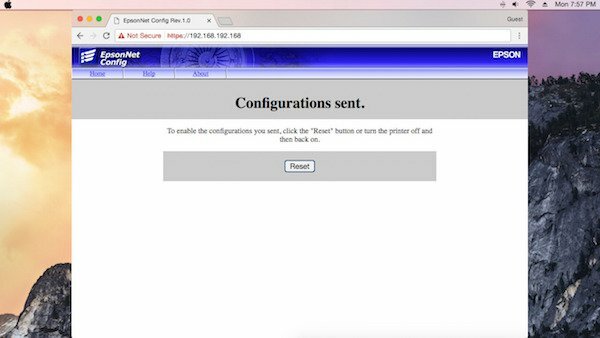 Underneath Configuration, you’ll see TCP/IP. 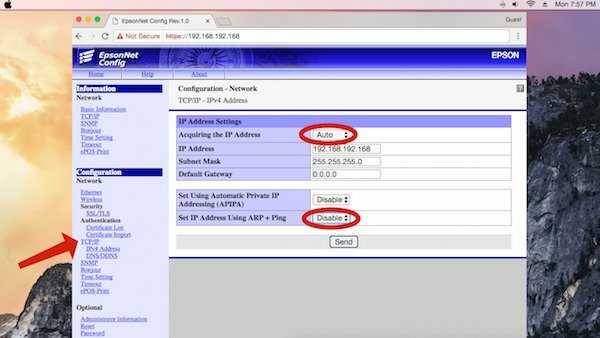 On the TCP/IP Setting page, click the drop-down box to change Acquiring the IP Address to Auto. 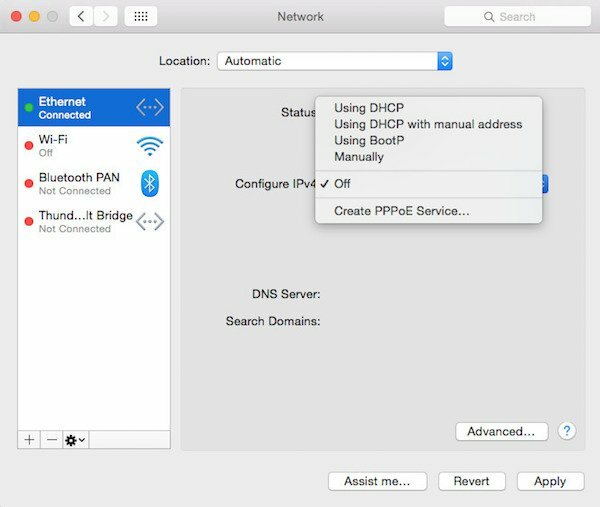 Change Set IP Address Using ARP + PING to Disable. Click the Send button to save the changes. Click the Reset button or just turn your printer off and back on. Configuration of the printer is complete, but you are not done yet! 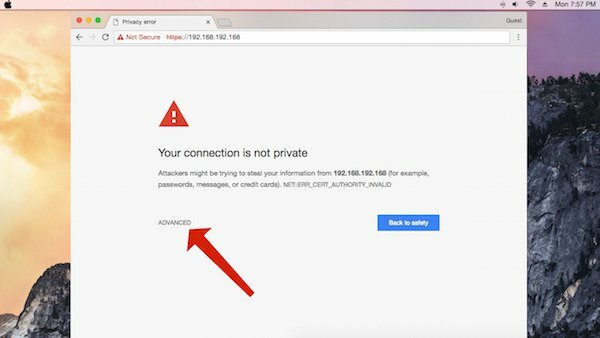 Close Chrome and go back to your network settings. You must change the settings back to what they were. Otherwise, your network will not be properly configured for this computer. 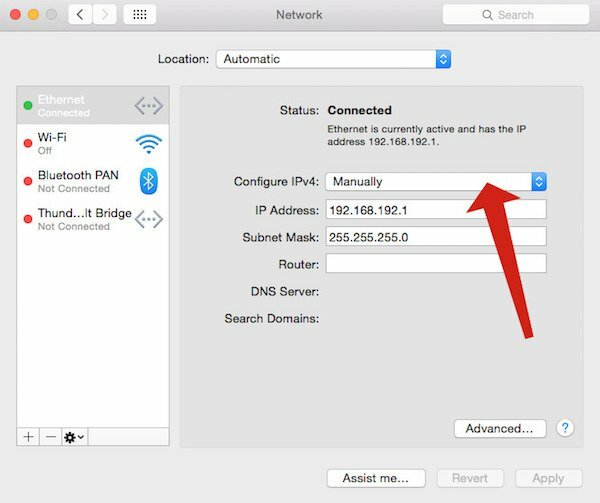 The network settings window should still be open. 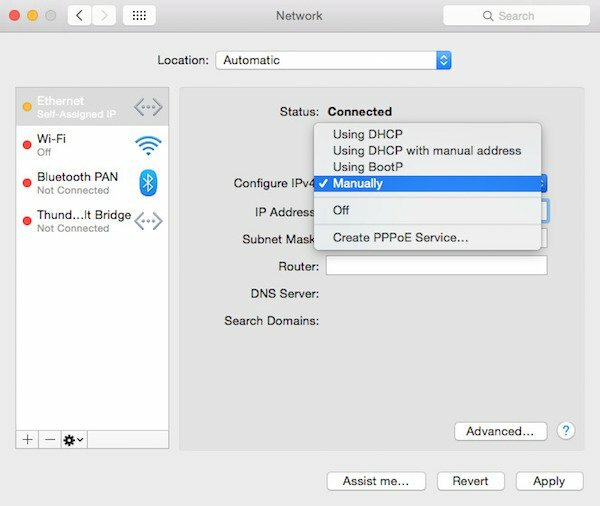 ● Click on the drop down box next to Configure IPv4. 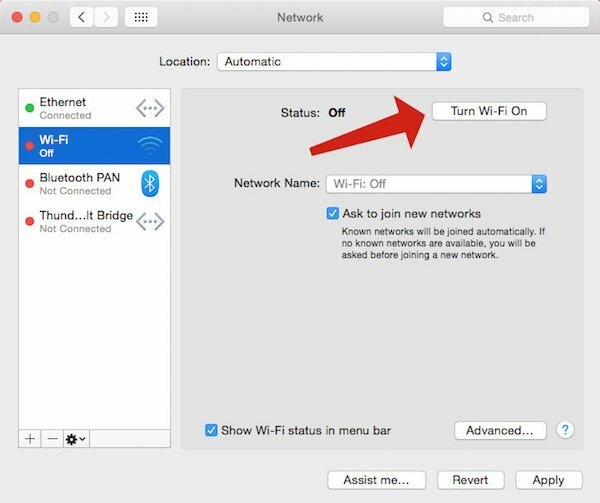 Assuming you use your Mac’s Wi-Fi for network access, choose Off from the drop-down menu. 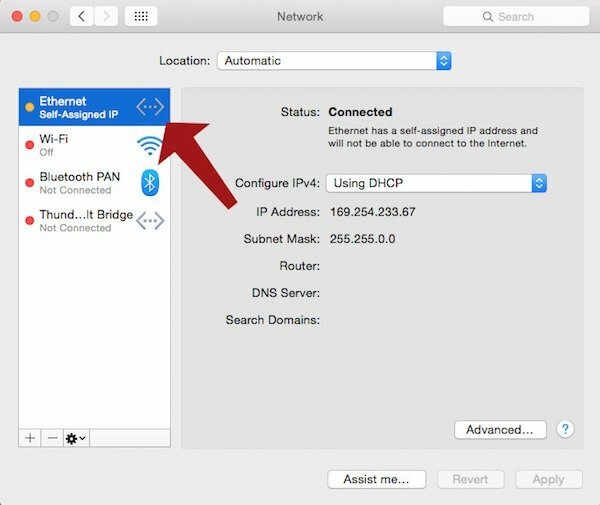 Click Wi-Fi on the left to manage the connection, then click the button to Turn Wi-Fi On. NOTE: You need to change your network settings back to what they were. These are the most common settings. If your system was configured differently, it’s important to use the original settings. To use the TM-U220 printer, plug the printer into your router and follow the printer configuration instructions for Rezku POS.